You have been to school and there are no jobs, therefore education is useless. No, You are not getting an education because you want to be a teacher or an engineer, you are just expanding your knowledge and your understanding. Through those qualifications you can outmaneuver every situation…even if they may not be jobs in your field, an educated person will always rise above. I’m sure everyone agrees with Mr. Malema (regardless of how you may feel about him in general). The importance of education is not in getting a job and earning a salary. Education is about becoming a better citizen, a rational being, a better provider and a well rounded social individual who can outmaneuver any situation unscathed. How must tertiary students be educated in this 21st Century? We have seen everything going digital in this century, we then wonder why learning is still conducted in a physical class? Is it because we trust the process so much that deviating from it may be hard? Do we prefer that way of learning than learning digitally? Or is it an issue of sunk costs, a “what will happen to the buildings and all the millions we used in developing these institutions,” type of thing? Whenever a student has the time and ability and resources to be in a physical class then that is OK. However, our situations in life differ and not everyone is able to be in a physical class to learn these days. Some have a family to take care of and resources don’t allow them to hire extra help, some are the breadwinners they can’t leave their source of income to be in class… The biggest question is can I get a tertiary education without disrupting my current life setup? 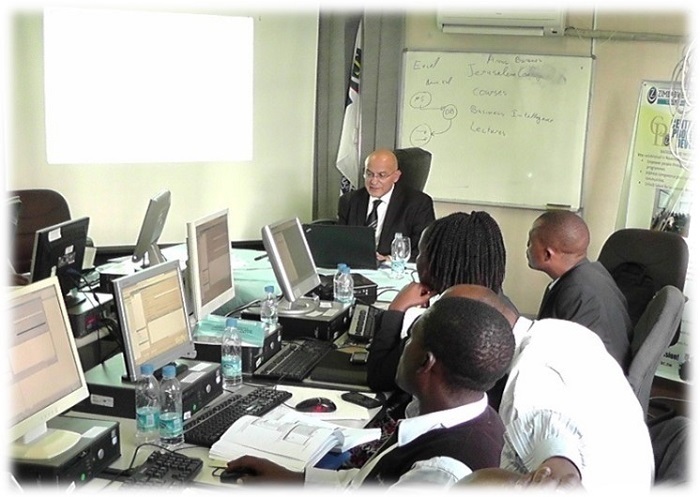 Ever heard of Zimbabwe Open University (ZOU) digital learning? The answer is yes, with ZOU you can. Previously called Open Distance learning, ZOU is offering willing applicants a chance to keep earning or living or whatever else while you learn. You can work and fend for your other basic needs in your current geographic location but also fulfill your education pursuit aspirations. You don’t need to uproot your life to get a degree and you don’t need forex either. If you meet the requirements for the program of your choice, you can visit the ZOU Website and apply online. Yes, applications are done online. The application is processed and your response comes back to you online as well. Once you have been accepted as a student, you can start by paying fees online using either mobile money platforms or CBZ or FBC Mobile Banking Apps. The beauty of using any of the methods listed above is the fact that your payment is credited into your ZOU account instantly. You can, however, do a traditional inter-bank transfer or an internal transfer and send the proof for the payment to be credited to your account. Once fees are paid, you will receive all your learning material online. And voila, you can start learning on your own. You don’t have to move from Mt Darwin to Gweru just to get a degree, this is the 21st century. And how does learning become digital? Submit your assignment – no assignment is submitted physically, and once the due date for submission is passed, no student can submit theirs. This according to ZOU was done in order to promote discipline and integrity. Report queries – whenever you have a query you can log in to your My Vista Portal and report it. The relevant person on the other end will attend to it within a day or 2 days and send an answer to your inbox. No student has to call or visit ZOU offices to get their issue attended to, this query management system does it remotely. Interact with a tutor – some students will need the guidance of a lecturer at every stage, the portal allows you to chat with your lecturer for that module and you can get your issues and questions attended to. Interact with other students – had you been in a physical class, you would have gotten access to students taking the same course with you and they may have helped in solving some academic problems.This kind of interaction is of course healthy to learning. ZOU’s My Vista Portal puts you in a virtual class where you can interact with other students. Its imperative that one gets a tertiary education these days, like what Julius Malema said, you are broadening your knowledge and understanding base by so doing. ZOU has removed most barriers as they offer degrees in the most convenient way, keep earning while you learn. No excuse is gonna hold water one day when you really need that degree to get into an entry-level activity or excursion. I went onto the site. I am not happy with the fact that I failed to see syllabuses of any of the degrees on offer. WIth other online universities such as Unisa and Open Learning one is able to see syllabuses. This makes it easier to select a degree.